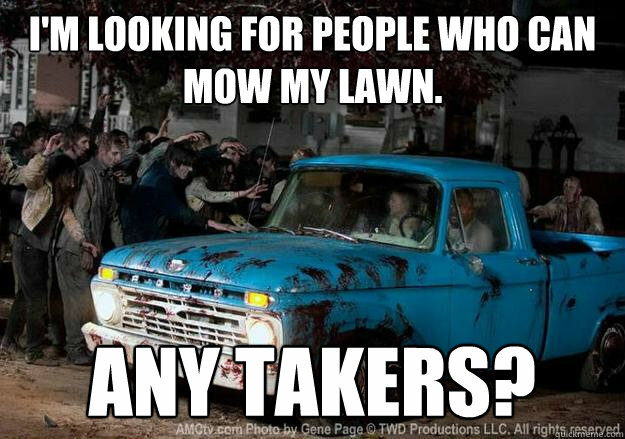 I'm looking for people who can mow my lawn. Any takers? 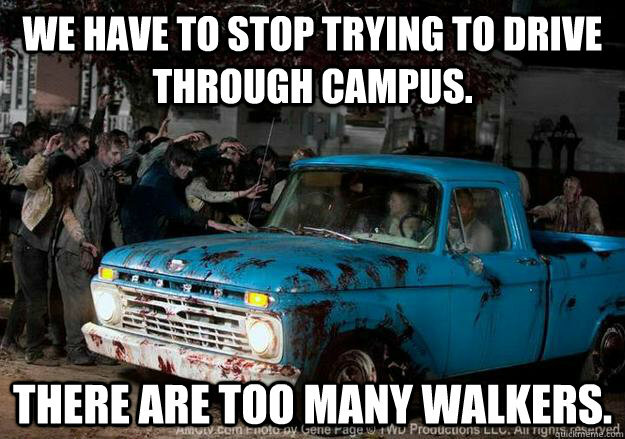 We have to stop trying to drive through campus. There are too many walkers.